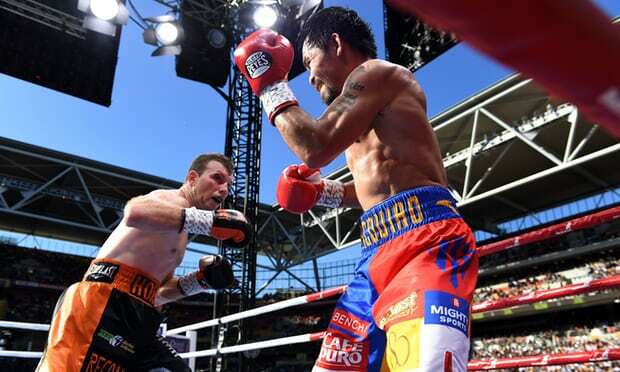 It is still hard to believe, but Jeff Horn of Australia upsets Manny Pacquiao via Unanimous decision to win the WBO world welterweight title in Brisbane. Pacquiao struggling in the rounds and mostly Jeff Horn became faster and more aggressive than Pacquiao all the way. Horn connects more than Pacquiao had and most of the time when Pacquiao punching the smarter Jeff Horn tries to fight back, brawl it because he knows that he is more a puncher than the old Pacquiao. Horn was non-stop and Pacquiao can't connect a good punch because horn was moving a lot. The Filipino once hurt Horn in the 9th round and the Australian was badly in pain but luckily he was saved by the bell. Pacquiao won also the last 3 rounds but it's not enough to win the fight. Horn wins the fight via unanimous decision 111-117, 113-115 and 113-115. The new boxer became a superstar and now looking forward for more bigger fights.